Valuation analysts may be asked to value closely held company securities for various reasons. These reasons include transaction pricing, financial accounting, taxation planning and compliance, and litigation (related to both breach of contract and tort claims). Depending on: 1) the business valuation approaches and methods applied; and 2) the benchmark empirical data used, these analyses may initially conclude the security value on a marketable basis. This initial conclusion may result if the analyst relied on capital market data to extract pricing multiples, present value discount rates, or direct capitalization rates. In such instances, the analyst may have to apply a valuation adjustment to this initial value in order to conclude the final value. This discussion summarizes the factors (and the empirical evidence) that the analyst may consider in the measurement of a discount for lack of marketability (DLOM) valuation adjustment associated with non-controlling securities of a closely held company. This security-level DLOM is different from the entity-level DLOM that is applied at the closely held company level. Part I of this two-part article focuses on pre-IPO, restricted stock studies, and traditional models considered in a valuation engagement. Valuation analysts (analysts) may be asked to value closely held company securities for various reasons. 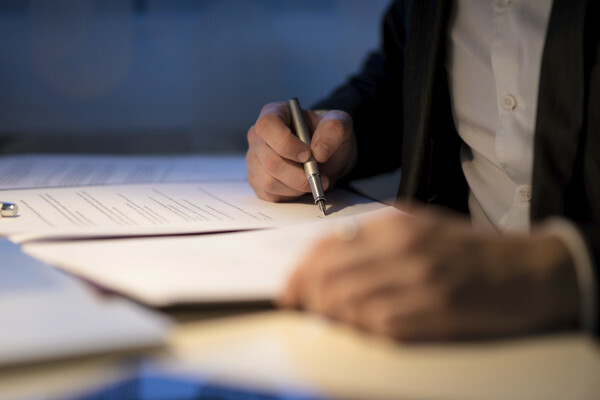 These reasons include transaction pricing, financial accounting, taxation planning and compliance, and litigation (related to both breach of contract and tort claims). Depending on (1) the business valuation approaches and methods applied and (2) the benchmark empirical data used, these analyses may initially conclude the security value on a marketable (meaning: as if freely traded on an organized stock exchange) basis. This initial conclusion may result if the analyst relied on capital market data to extract pricing multiples, present value discount rates, or direct capitalization rates. In such instances, the analyst may have to apply a valuation adjustment to this initial value in order to conclude the final value. This discussion summarizes the factors (and the empirical evidence) that the analyst may consider in the measurement of a discount for lack of marketability (DLOM) valuation adjustment associated with noncontrolling securities of a closely held company. This security-level DLOM is different from the entity-level DLOM that is applied at the closely held company level. Public companies may sometimes raise capital by completing a private placement of debt or equity securities. In an equity private placement, a company can issue either: 1) registered stock to general investors; or 2) unregistered (i.e., restricted) stock to an accredited investor. Registered stock can be freely traded on a stock exchange. In contrast, unregistered stock is not registered for trading on a stock exchange. When public companies issue unregistered (restricted) stock, the unregistered stock is typically sold at a price discount compared to the price of the registered publicly traded stock. Public companies may be willing to accept a price discount on the sale of restricted stock because the time and cost of registering the new stock with the SEC would make the stock issuance/capital formation impractical. These observed price discounts (i.e., registered public stock price compared to same company unregistered stock price) indicate a DLOM. The Rule 144 investment holding period restrictions on the transfer of restricted stock eventually lapse, usually after a period ranging from six months to two years. At that point, the trading volume formula is typically the most restrictive sale condition of Rule 144. The trading volume formula allows the securities to be “dribbled out” in the marketplace. Depending on the block size of the unregistered securities, the dribble-out formula may require the investor to sell small portions of the securities over a multi-year period. Rather than dribble out the sale of the restricted securities, the stock owner can sell the securities in a privately negotiated transaction. Until 1995, restricted stock sale transactions were reported to the SEC. Since 1995, analysts have collected such restricted stock sale transaction data from private sources. Exhibit 1 summarizes 20 published restricted stock studies spanning the late 1960s through 2013. [a] The observed price discount of 20.1 percent represents the overall average private placement discount reported in this study. [b] This study attributes price discount to factors other than marketability (i.e., compensation for the cost of assessing the quality of the firm and for the anticipated costs of monitoring the future decisions of its managers). [c] Represents results of the latest published study. The database is routinely updated and available for purchase at 222.bvmarketdata.com. The above-listed published studies indicate a general decrease in the indicated DLOM percentage after 1990. The restricted stock transactions analyzed in the studies covering the 1968 to 1988 period (where the average indicated DLOM was approximately 35 percent) were generally less marketable than the restricted stocks analyzed after 1990 (where the average indicated DLOM was typically less than 25 percent). Increased transactional volume was the result of a Rule 144 amendment in 1990 that allowed qualified institutional investors to trade unregistered securities among themselves. By increasing the number of buyers for restricted securities, the marketability of these securities generally increased. As it became easier to find a buyer for unregistered securities after 1990, the average stock price discount decreased. The same trend occurred after the SEC-required holding period decreased from two years to one year in 1997. The private transaction price at which a stock was sold prior to the IPO. The following discussion summarizes several published pre-IPO studies. A number of pre-IPO studies have been conducted under the direction of John Emory. These studies covered various time periods from 1980 through 2000. The price at which the latest private transaction took place (up to five months prior to the IPO). The mean and median price discounts from all of the transactions analyzed in the Emory studies equal 46 percent and 47 percent, respectively. Exhibit 2 summarizes the results of the Emory studies. [a] This is an expanded study. The expanded study focused on sale transactions of common and convertible preferred stock, and did not exclude companies on the basis of their financial strength. Note: The results above are from “Underlying Data in Excel Spreadsheet for 1980–2000 Pre-IPO Discount Studies, as Adjusted October 10, 2002,” located at www.emoryco.com/valuation-studies.shtml. Valuation Advisors, LLC (VA), developed a database that includes over 3,500 pre-IPO transactions that occurred within two years of an IPO. These transactions are arranged into five time periods: four 3-month intervals for the 12 months immediately before the IPO, and a single period for the time frame from one to two years before the IPO. The transactions are arranged by type of security (i.e., stock, convertible preferred stock, or options). Exhibit 3 summarizes the results of the VA studies. Source: Brian K. Pearson. “Valuation Advisors’ Lack of Marketability Discount StudyTM,” Business Valuation Resources Teleconference, August 23, 2007 (1995–2006); Valuation Advisors database (2007–2012). Willamette Management Associates (WMA) prepared 18 pre-IPO studies covering the period of 1975 through 2002. Due to the small sample size of identified transactions in 2001 and 2002,  the data from those years were excluded from the analysis. The results of the various WMA studies are summarized in Exhibit 4. [a] Excludes the highest and lowest deciles of indicated discounts. Source: Pamela Garland and Ashley Reilly, “Update on the Willamette Management Associates Pre-IPO Discount for Lack of Marketability Study for the Period 1998 Through 2002,” Insights (Spring 2004). In most cases, the pre-IPO study indicated price discounts were generally greater than the restricted stock study indicated price discounts. One explanation for this result is the fact that—unlike pre-IPO transactions—restricted stock transactions involve companies that already have an established public trading market. In Part II of this article, Mr. Reilly discusses the two common categories of theoretical DLOM measurement models: 1) OPMs (five models) and 2) DCF models (QMDM and Tabak Model). 17 CFR 230.144 (revised April 1, 1990). On February 18, 1997, the SEC adopted amendments to reduce the holding period requirements under Rule 144 of the Securities Act from two years to one year for the resale of limited amounts of restricted securities (the amendment became effective April 29, 1997). Further, on November 15, 2007, the SEC adopted similar amendments which reduced the holding period requirements from one year to six months (effective February 15, 2008). Emory was formerly with Robert W. Baird & Co. where the studies prior to April 1997 were conducted. John D. Emory, “The Value of Marketability as Illustrated in Initial Public Offerings of Common Stock—January 1980 through June 1981,” Business Valuation News (September 1985): 21–24, also in ASA Valuation (June 1986): 62–66; “The Value of Marketability as Illustrated in Initial Public Offerings of Common Stock, January 1985 through June 1986,” Business Valuation Review (December 1986): 12–15; “The Value of Marketability as Illustrated in Initial Public Offerings of Common Stock (August 1987–January 1989),” Business Valuation Review (June 1989): 55–57; “The Value of Marketability as Illustrated in Initial Public Offerings of Common Stock, February 1989–July 1990,” Business Valuation Review (December 1990): 114–16; “The Value of Marketability as Illustrated in Initial Public Offerings of Common Stock, August 1990 through January 1992,” Business Valuation Review (December 1992): 208–212; “The Value of Marketability as Illustrated in Initial Public Offerings of Common Stock, February 1992 through July 1993,” Business Valuation Review (March 1994): 3–5; “The Value of Marketability as Illustrated in Initial Public Offerings of Common Stock, January 1994 through June 1995,” Business Valuation Review (December 1995): 155–160; “The Value of Marketability as Illustrated in Initial Public Offerings of Common Stock, November 1995 through April 1997,” Business Valuation Review (September 1997): 123–131; John D. Emory Sr., F.R. Dengel III, and John D. Emory Jr., “The Value of Marketability as Illustrated in Initial Public Offerings of Common Stock, May 1997 through December 2000, Business Valuation Review (September 2001): 15–19; and “Underlying Data in Excel Spreadsheet for 1980-2000 Pre-IPO Discount Studies, as Adjusted October 10, 2002,” located at http://www.emorybizval.com/valuation-studies.shtml. The database is available on a subscription basis from www.bvmarketdata.com. The specific analytical procedures performed in the various WMA pre-IPO DLOM studies are detailed in Shannon P. Pratt, Robert F. Reilly, and Robert P. Schweihs, Valuing a Business, 4th ed. (New York: McGraw-Hill, 2000), 408–411.